Review of New Biography of Jimmy Page – Zero Equals Two! “In 1970, Jimmy Page bought Boleskine House, an 18th-century lodge on the banks of Loch Ness. 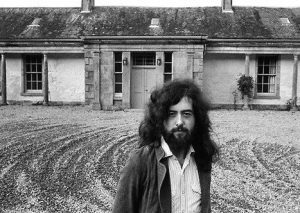 The monster that drew Led Zeppelin’s guitarist there was not Nessie, but Aleister Crowley, the late ‘great beast’ of British occultism who had bought the house in 1899. Boleskine, built on the site of a 10th-century church that burnt down with its congregation inside, had allegedly been left brimming with demons after Crowley was called away mid-ritual, which was all part of its appeal to the 26-year-old Page, who had been in thrall to Crowley’s ideas since adolescence.